I have to begin just by saying that the concept of this story is so unique. A necromancer main character who works for the Royal Family, bringing back the King time and time again so he can continue to rule ... who thinks of these things? Genius. Reign of the Fallen was such a creative story. The main premise is that Odessa is a necromancer, someone who can walk between the land of the living and the land of the dead, bringing them through the veil into life once more. There's a catch though: once someone is dead, no living thing can see them. They have to wear a shroud all the time, because if someone sees even the smallest glimpse of their dead selves, the dead turn into Shades, uncontrollable monsters (kind of like zombies?). Odsssa's job, as well a the other necromancers like her lover Evander, is to make sure the dead in the real world don't go mad; they have to kill them before they deteriorate beyond help, travel to the Deadlands to find them, then bring them back so they keep on 'living'. A little complicated perhaps, but fascinating all the same. The characters in this book were amazing; each one so beautifully created and left me wanting a whole story just for each of them. There's the squad of necromancers who work in sets of two - Odessa and Evander, Jax and Simeon - then there's Valoria the princess of Karthia, Meredy the sister of Evander and also a beast master (who has a bear as a companion), Danial who is a healer and is boyfriend to Simeon, and Kasmira who is like a weather-controlling pirate. The villain in this story was a bit predictable, but it was a good plot all the same. There were definitely things I didn't enjoy about it, but on the whole I really liked it. If you're after a fantasy or young adult novel with a bisexual main character and a heap lot of dead people walking around like they're living, then this is the book for you! 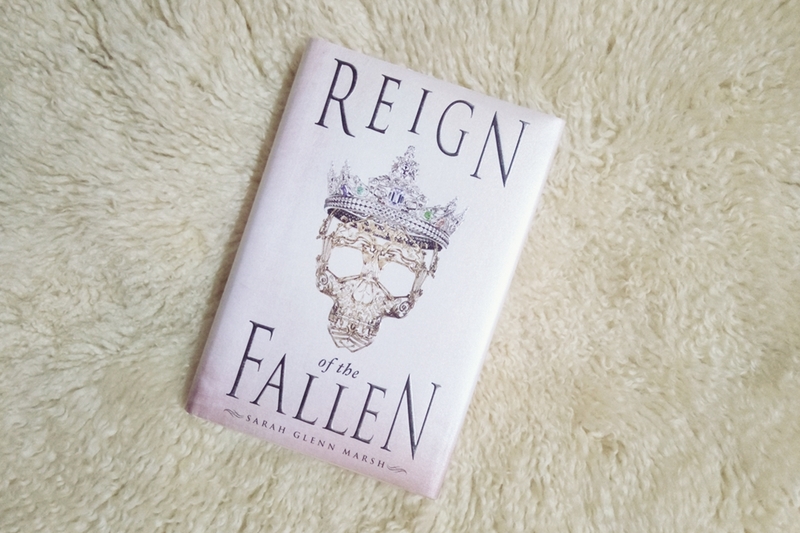 Have you read Reign of the Fallen? What did you think?